Gouges in their myriad of shapes and sizes, are a staple part of every woodcarver's toolbox, but there are times where the humble knife takes centre stage. Sometimes a good woodcarving knife is all you need when you're out and about on your travels and the urge to do some whittling takes over. And there are, of course, times where only a knife will get into those areas that even the most keen of gouges will not reach. 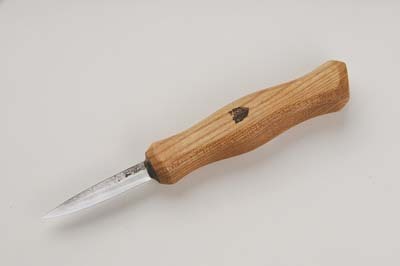 There's a lot to be said for the carving knife, whether you use it for whittling, shaping, chip carving or as an aid to your gouges, and it is a tool I certainly wouldn't be without. As with most tools, there are quite a few knives out there on the market, so we decided to call in a selection to give you a better picture of the types available. 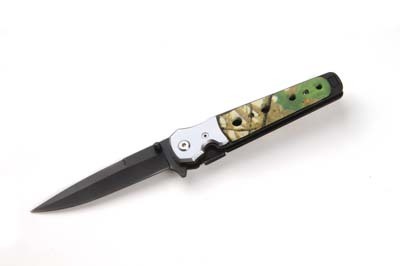 On first impressions this little knife may look unremarkable when compared to some of the bigger names, but donâ€™t let looks fool you! This is a wonderful knife for woodcarvers and is capable of producing superb cuts with fine detail. Made from 01 tool steel, this is hand crafted by Ben Orford and tempered to between 57 and 59 Rockwell C.
The handle is ergonomically crafted and fits nicely in the hand for minimal user fatigue. I rather like the honest and rugged look of this knife, and I am already a huge fan. Comes with an optional beautifully handcrafted leather sheath. Now this is what you call a beautiful knife! With an incredibly smooth massur birch handle, this just wants to be held and used, and fits well in the hand. The 3in blade from 3mm stock doesn't disappoint either and cuts wickedly fine, with precision control. And interestingly, it features a square back edge for scraping material, which can be made with a rounded edge as an option. You pay a bit more for a knife like this, but it won't disappoint and this really is a case of you get what you pay for. Sublime! Comes with an optional beautifully handcrafted leather sheath. Available with 3 or 4in blades from 3 or 2mm stock. Ben Orford may be an unfamilar name to a lot of carvers, but it certainly is one to watch out for. This husband and wife team based in Worcestershire, hand make their knives, carving tools and leather goods. They even find time to run training courses in tool and knife making and green woodworking. This knife is larger than many tested here, with a 3 3/4in stainless steel blade but in spite of its size, you can get nice controlled cutting. It's mostly ideal for large and quick removal of wood, though will handle smaller cuts if used carefully. It folds away safely and is stable when opened up and used in the locked position. And to cap it all, the price of a mere Â£5 is very nice indeed. 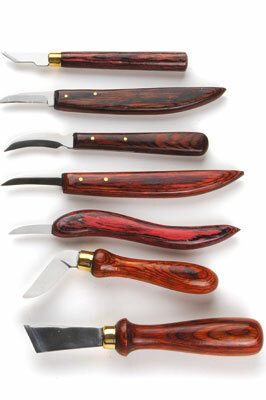 Kirschen, or the 3 cherries brand, usually make nice, affordable tools for carvers, so we called in their carving knives. They feel light in the hand with very thin handles and whilst these factors are usually a good thing, they perhaps felt a little too light - personal preference means I like something to feel a bit more substantial. Cutting was controlled and clean, and the small blade to large handle ratio meant good control. Whilst these aren't as good as some of the more expensive makes, these are nonetheless good enough to enjoy carving and chip carving with - in fact the more I used them, the more I liked them. Available in 6 different profiles or as a set of 6 knives. a safe plastic sheath for storage. 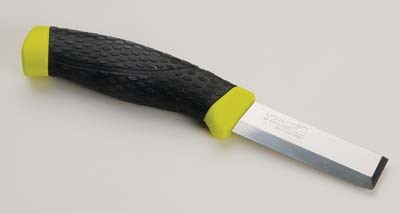 This is a great general whittling knife which will remove large areas with speed, plus smaller areas with nice control. Comfortable to hold for longer periods with ergonomic rubber grips. As with all Mora knives, this has a hardness of RC57, is made from Sandvik 12c27 Swedish stainless steel, is forged for extreme sharpness and high edge retention, and comes with a safe plastic sheath for storage. a knife and chisel. It cuts cleanly, keenly and precisely, removing large areas effectively and smaller areas with control. Again, itâ€™s very comfortable in the hand due to good grip rubber handles. Very nice! Comes with a safe plastic sheath for storage. As you would expect from Pfeil, this is a nicely crafted knife and cuts well. Featuring a 12mm or 15mm wide double bevel blade, cuts are accurate and confident, and come honed, ready to use. The traditional octagonal ash handle is comfortable in the hand and the familiar look will ensure it is in keeping with your other Pfeil tools on the workbench. 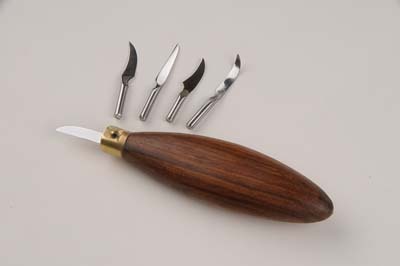 The four new sculpture carving knives from Pfeil really do look the business. The beautifully sculpted handles look and feel amazing and are very comfortable to hold, especially over longer periods of time. Control is superb, cuts are keen, and finish is clean. The two Schaller knives have a crowned blade and rounded backs to avoid contact with your work, whilst the two Canard knives are great for chip carving with their straight cutting edge blades ground thin. 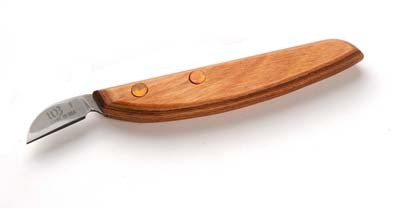 The stab and cutting knife feature shaped cocobolo handles which are comfortable when gripped for longer use, and the high carbon alloy steel blades are razor sharp for clean cuts. If chip carving is something which appeals to you, then these really are the only two knives you'll ever need. A little known company in the UK worth considering for interchangeable blades is Cape Forge. Available as a set of 2-5 blades with a standard or teardrop handle, this really is a nice little bundle you can take away with you. Choosing from an impressive 12 profiles, you simply use the supplied Allen key to lock the required blade in place and away you go. for having more blades, you really can get into all areas of your carving! The set is nicely packaged in a mini leather tool roll and is very portable, being only 41/2in in length when rolled up! 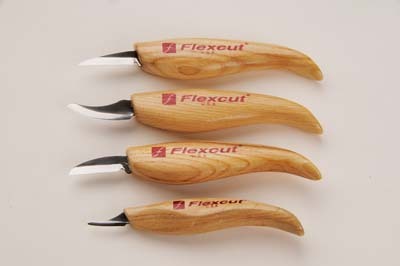 As a woodcarver, we are all familiar with the Flexcut brand, and for good reason. They do produce tools which carvers trust and use time and time again, and their knives are no exception. In the tool roll you will find a cutting knife, detail knife, pelican knife, and a mini pelican knife, which really is a good selection for producing a wide range of carving. The smooth handles are shaped to give added comfort in the hand, and the blades cut delicately, controlled and reassuringly precise. A good bet on a trusted name, and with a nice price too! in use, even over longer periods. The blades are nicely honed and the level of control is not bad at all. 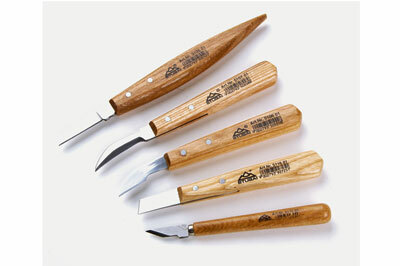 Good for chip carving plus whittling, these knives are definitely worth considering, particularly for the low price! in the hand, and look sumptuous. The variety of knives is most impressive - from the straight bladed heavy-duty detail knife, the slightly curved cutting edged detail knife, and the beautifully sculpted 8945 detail knife, to the ingenious skew chisel knife and the precision cutting offset knife, you have everything you need in a whittling knife set, and more! Highly recommended if you enjoy whittling and want a great set of knives. It is always advisable to wear a good quality woodcarving glove on the hand holding the workpiece - better still to wear a glove on both hands. It goes without saying, knives are sharp and should be used with care. If you allow your under 18s to have a go at knife carving, make sure they are always supervised by a responsible adult.